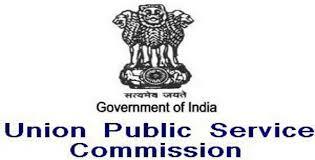 UPSC AO Last Year Question Papers Download, UPSC AO CBRT Question Papers PDF, UPSC Administrative Officer (AO) Solved Question Papers, UPSC Administrative Officer Geological Survey of India, Ministry of Mines Question Papers PDF, Model Papers, CBRT Test 2018 – Union Public Service Commission (UPSC) has published admit card announcement to conduct Administrative Officer posts in Geological Survey of India and Ministry of Mines (Vacancy No.18040706414 & 18065101423). Candidates who have applied they need to download Admit Cards form UPSC Admit Card Download Page. The exam will be conducted on 23rd Sep 2018. So Applicants who are planning to appear for the written exam they must and should download old question papers of Administrative Officer (AO), syllabus, AO CBRT Old Question Papers, Last 5 years question papers to get a high score in the written exam. Here i am sharing Last 5 years question papers of UPSC AO CBRT Question Papers, i hope these question papers will help you get a good score.